Photo editing has a new meaning now. With busy schedules and early turnaround times provided by clients, photo editors do not have the choice of spending hours in front of the computer working on a single photo to perfection. Instead, most of them look for products that will be able to create the same effect on a number of photos with the click of a mouse and if they changed their mind, they can easily switch to something else with another click. No one is talking about investing endless hours into perfecting a photo any longer. We live in an age where most of the software provide ready stuff that can create the effect you need on your photo, and a slight tweak here and there gives it the personal touch that you need. Anything more than that is the investment of time which can be utilized in a better way elsewhere. Let’s find out some of the best photo editing software to use in 2018. Software market is filled with 100s of photo editing software and all claims to be the best in industry. Well, it is their job to claim, but we can’t simply download anything just because the company said they made the best photo editing software. 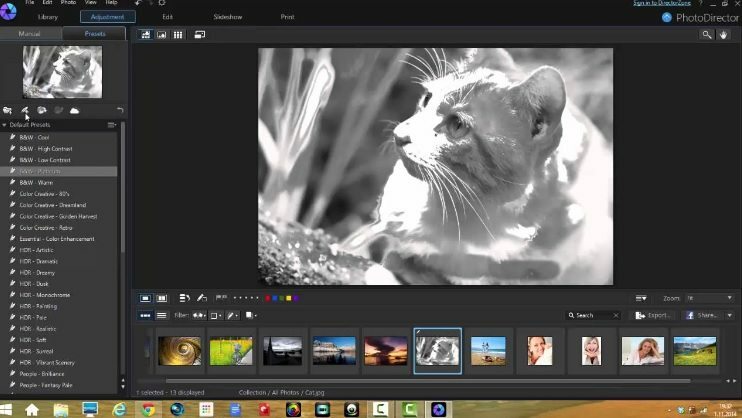 To help you decide the best photo editor for you, we have reduced the numbers to top 10. You can check the list below and download the best photo editing software which fulfills most of your requirements. We all remember the time when Adobe introduced subscriptions as opposed to perpetual licenses. 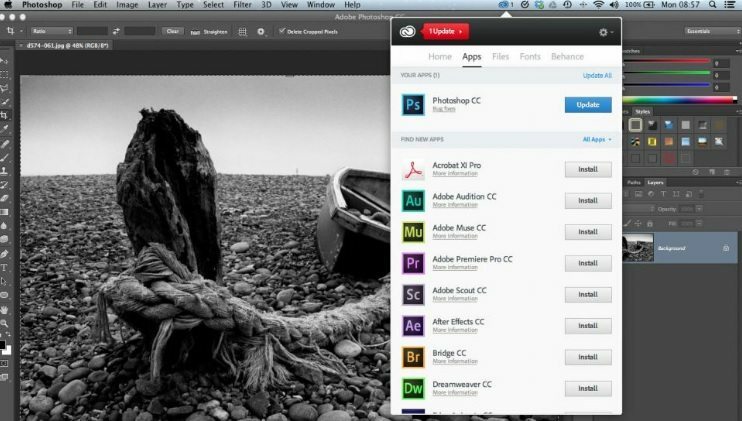 There was a storm of controversy which swept Adobe by the feet but the stronghold of Photoshop made sure that it did not lose its users. There are a lot of benefits to these subscriptions. One of them is that you never have outdated software. With an online subscription, you are eligible for free updates till the time you subscribe. The camera raw tools are great and while Photoshop is an app good for advanced users, for a complex app like Photoshop, it has a fairly simple layout. While the camera shake reduction tool requires improvement, overall, Photoshop stands out as a clear winner when it comes to photo editing software. This software is good for beginners who may not be able to understand the complexities of Photoshop. You can manage your photo collections through the Organizer and use the photo editing tool to edit photos. We like the fact that it is simple and has guided edits to help those who are new to photo editing. Another image-editing tool that combines cataloging and non-destructive editing is Adobe Photoshop Lightroom 5. This software helps you keep your original photo as it is and saves all new changes to a new version of the photo. It has a powerful organizing tool which makes it easy to look for photos and create a library of your photos through the software. Lightroom is good for everyday image enhancements and is efficient for photo editors who may need a quick tool for photo editing. PhotoDirector 6 Ultra bears a resemblance to Lightroom with most of its features being the same as Lightroom. However, it differs from Lightroom in one aspect which is the creation of non-destructive copies. PhotoDirector 6 Ultra does not have non-destructive editing feature so it creates new copies of your files. This tool is mainly aimed at amateurs who are beginning their photo editing lessons. There is an Edit panel in this software which you may not find in Lightroom. This panel has a host of additional features which allow you to tweak your photos for better effects. This is a software that helps you get the best photos from your camera and lens combinations. It is a raw conversion tool that offers a lot of editing options which include correcting the distortion, vignetting, chromatic aberration and edge softness. These are common complaints from almost all lenses. We think of it more as an image optimizer and it is very good at what it does. Nikon’s official raw converter is free to download and you can use it to enhance JPEG photos from any camera. Additionally, Nikon NEF Files can be edited using this photo editor if you are working on raw images. It is one of those photo editing software that you may use if you are using a Nikon camera, otherwise, the app is good only if you are a trying to edit photos with a free software. What started as an average photo editor has eventually turned into a powerful software which offers a big range of editing options and features that are helpful for many camera owners. It has the potential to replace strong photo editing software like Lightroom. The editing results are satisfactory and the enhancements can give your photos some great effects. This is a good choice for families who want to try some photo editing. It is an affordable software which allows beginners to try their hand at editing. It may not be able to match up with rivals like Photoshop Elements, but it has its own set of features which can be helpful for the average family that intends to make minor tweaks to photos clicked on special occasions. Another photo editor that is fit for families as well as professionals, Serif PhotoPlus X8 is a software that has some great features to explore. However, we find most of the features to be similar to other software. Zoner works well as a photo organizer as well as a photo editor. It is easy to use and it takes the non-destructive route which means that your original image is never lost. It has features that can make it good for use in families as well as professionals. Zoner Photo Studio can help you with retouching your photos, adjusting colors, creating panoramas and the like. All these photo editors resonate a level of efficiency and ease of use which is why we consider them to be the best to use in 2018. 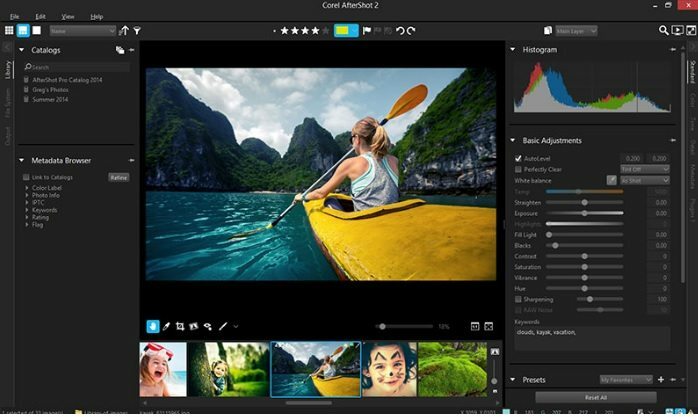 While serious photo editors will undoubtedly make a beeline for Adobe Photoshop CC 2014, many of these apps are capable of complimenting Photoshop so that the best can be achieved in the photographs that are being edited.